Helmut Lent was a German fighter pilot, and he shot down 110 enemy aircraft before he was killed in 1944, age only 26. (Manfred von Richthofen, the Red Baron, was 25 at his death in 1918.) A town in Germany named its barracks after Helmut Lent, and now the government wants to change the name, "to put as much distance as possible from the Nazis." Anyway, for Rooster I looked up his airplane, and it is one I never heard of; named ZG 76 Bf 110C. (Actually, maybe the plane is a Messerschmitt?) Herman Goering spoke at his funeral...so, is Helmut Lent still a hero? Yes, he still is a hero to Germany. 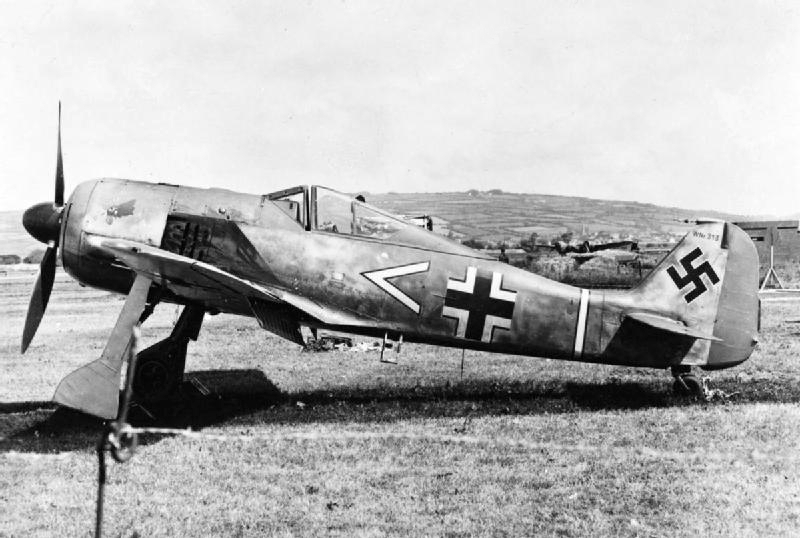 If you read some more, you will find that the Luftwaffe was the least Nazi of the German services. Only it's fat toady Leader was a fervent Nazi. If many were still alive and you took a private poll of them all? I bet you would find that maybe 25% really were Nazis! The Wehrmacht, Luftwaffe and Kriegsmarine were just German soldiers who fought for their country after being pounded by propaganda by the Nazis. Of course, The Treaty of Versailles brought the fanatics out to lay blame for the loss of WW1 and ground Germany down so much that someone had to make it rise again from the ashes. Looks like Germany is going the P.C. correct route and to me? It is wrong. Yes, a BF plane is a Messerschmitt. Me and BF are both correct terms as Willy Messerschmitt had merged his company with a Bavarian firm. I would also bet top dollar that 75% of those kills were over Russia. Why can't people just leave things be. After all, Auschwitz is still there to remind the world of Nazi atrocities. Leave the barracks alone and leave a great Luftwaffe hero alone! 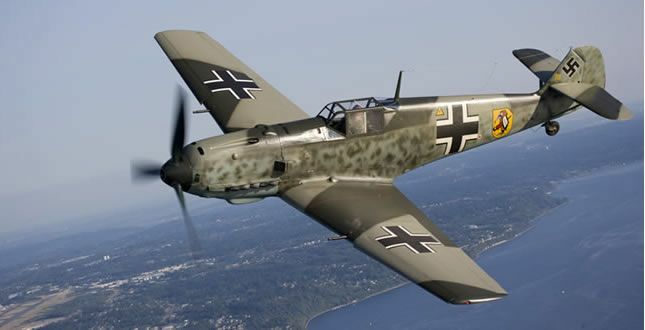 If you read what a loser plane the BF110 was? I'm amazed anyone could rack up a kill ratio with one. These two were Germany's top fighter planes and I had and flew a BF-109G for years. It's a beautiful and poignant answer, Rooster...ty, you and Other Tink...I am glad to take a few moments to remember the German war dead. This is a hard question. Are people who fight well in a bad cause heroes? They are brave, no doubt, just as brave in battle as their counterparts who fight well in a good cause, so it depends on how we define the term hero. There is a somewhat similar controversy going on now about Confederate statues here in the US, with considerably less justification. Anyway, it remains a touchy subject in Germany, with war-memorial desecrations happening occasionally, to the outrage of the families of the war dead. The graffiti reads "Not victims, but perpetrators". I'm not sure what the symbol above the phrase signifies, but I suspect it means 'Arschloch', i.e., as*shole(s), meaning the dead soldiers. SICK. Edit: oops, my mistake. The 'A' with the circle is an anarchist symbol. ty, Other Tink...an excellent answer you composed...and the parallel with the US controversy over Confederate statues is what made me think of this question...the graffiti tears my heart. Virginia, I was wrong about the 'A' with the circle. It is really a symbol of anarchism. I'm surprised they kept it, because my first interpretation really suggests itself (and I'm sure I'm not the first to think of it), except of course in this case, it would apply to the writer of the graffiti. @ Tink: That is very sad to see! They fought for their country, right or wrong. The winners always write the history. Everyone thinks Nazi but most were just plain German men who had no choice but to fight. You are quite right, Rooster. About 10% of the German population ever joined the Nazi party, and the Nazis never got more than 35% of the vote in an honest election. The rest was arranged by the machinations of politicians who thought they could control Hitler for their own purposes. How wrong they were. He is a German hero. Your answer is brief, and to the point, and very beautiful, Kninjanin...thank you. Heroes or ennemies, models or villains ? That depends on the sides and interests, which benefit from their "deeds" - and then on their virtues or ideologies. "In 1944, the 20 July plot involving a minority of officers received overwhelming disapproval from the Wehrmacht, who rallied for the Nazi regime. The American historian Gerhard Weinberg wrote about the July 20 putsch and the military: "As both sides sent their orders over the teleprinters in Germany's last 'election' as a united country until 1990, most generals chose to support the Hitler regime and to reinforce rather than arrest the police." The July 20 putsch attempt was crushed by Army troops commanded by Major Otto Ernst Remer with no involvement from the SS." There is no sense in removing or hiding names and memorials of victims, workers, soldiers, heroes or anti-heroes from past crimes, just because they lived or fought for the wrong side or system. We cannot change the past, but try to learn from it and improve our world. After all, ancient statues, architectural structures, temples, palaces, etc., are still glorifying former tyrants, dynasties, kings, priests, warriors, slaves, pagan deities, cultures, inventions, etc., informing about past civilisations, but very few are really thinking about learning from past "errors". You make some thought-provoking comments Marianne, thank you! Today is Ash Wednesday; what, if anything, are you giving up for Lent? If The Beatles Were To Be Discovered Today, Would They Be As Popular As They Were Back in 1964? omg, I Almost Forgot! Did You Know That Today, October 15, Is The Feast Day for St. Teresa of Avila? If you are in a bind, do you spend the extra money to buy items at a convenience store?